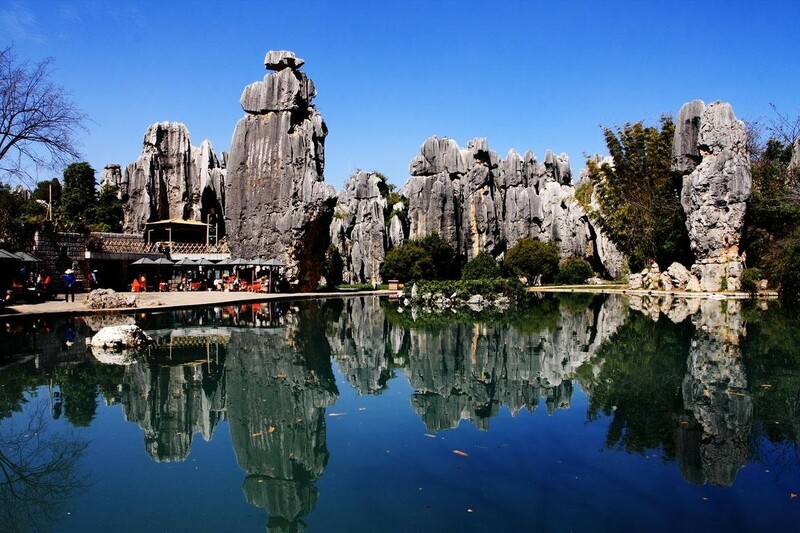 The Stone Forest is the most typical Karst landscape in the world, which is 86 km southeast of Kunming with a high-grade road extending to the entrance. It is one of the four natural landscapes of China, and known since the Ming Dynasty as the “First wonder of the world”. 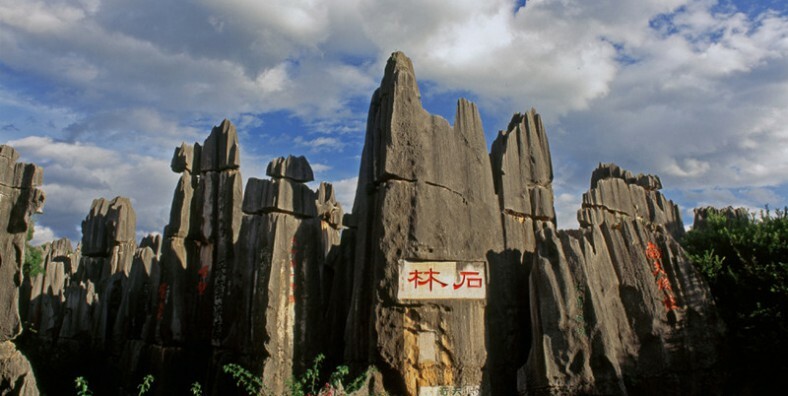 The Stone Forest has been appraised as the “World Geopark” by the UNESCO. Playing music with various folk musical instruments. At 9:00 AM, the driver and tour guide will pick you up from your hotel and transfer to the stone forest(about 1.5 hours), and then have a full day sightseeing tour there. See fantastic attractions such as Greater Stone Forest, Lesser Stone Forests, Naigu Stone Forest, Zhiyun Cave, Long Lake, Moon Lake, Dadie Waterfall, Qifeng Cave, Guishan Mountain. According to your own schedule, visit these attraction optionally. After the tour, have lunch at a local restaurant to enjoy Yunnan delicacy. In the afternoon, continue the journey in the Stone Forest, and specially recommended to visit the famous historical sites: Ashima. At about 3:30 PM, head to the Nuohei Stony Village to appreciate this stone village and enjoy folk songs and dances. After the whole day tour, at about 6:00 PM, driven back to Kunming and transferred to your hotel. Tour ends.